Desert Dessert. Cold temperatures, streets closed because of snow – this is not what you expect when traveling to Israel. You also do not expect to have the chance to taste traditional Bedouin food and to see a beautiful canyon every morning. The biggest surprise is that you do not expect this during a workshop. From Dec 12-15th, the European epilepsy genetic community gathered in Be’er Sheva and Sde Boker, Israel for a combined epilepsy genetics workshop and a Young Researcher Meeting. This is a brief attempt to capture the atmosphere of this workshop for everybody who could not attend. By the way, “desert dessert” is a port wine produced in the Negev desert. 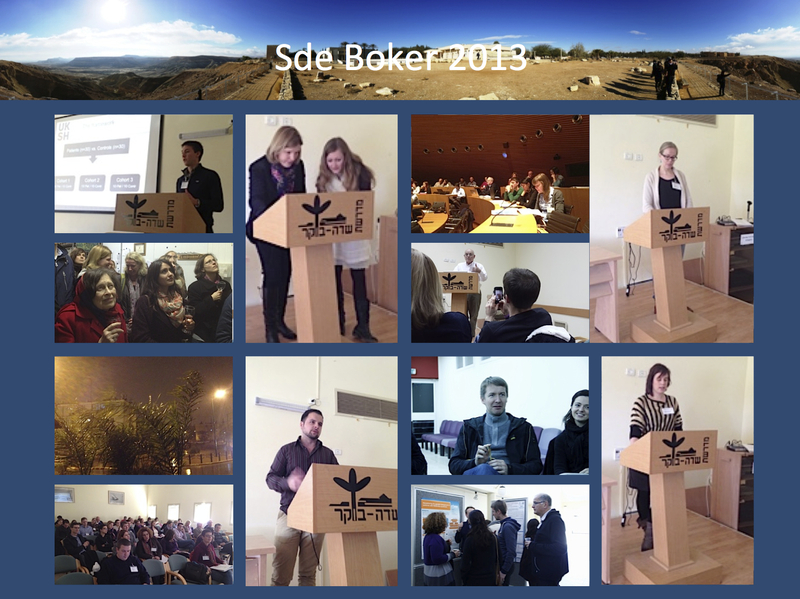 Some impression from the 2013 Sde Boker workshop. One thing we forgot was a group photo. I didn’t hear my alarm yesterday morning and slept through until 9AM. I am still pretty sleep deprived from one of the most intense scientific meetings I have ever experienced. In Sde Boker, we covered everything related to epilepsy genetics, epigenetics and related fields of autism research and neuroimaging. One core event was the Young Investigator workshop on Saturday, which consisted of back-to-back five-minute presentations in combination with poster sessions and a panel discussion. Discussions lasted until late at night and Sde Boker with its combined kibbutz/youth hostel flair provided the ideal backdrop for this. On the flight back, we realized all the things we didn’t do including a proper group photo. However, I have uploaded some of the photos as an album on the EuroEPINOMICS Facebook page. Rather than providing a chronological report, here are three personal impressions from the Channelopathist authors. This entry was posted in 2013, Meetings and tagged Be'er Sheva, collaborative research projects, epigenetics, epilepsy, epilepsy research, Israel, Jerusalem, Negev, neuroimaging, Sde Boker, Sheleg, snow, Trilateral Project, young investigators, Young Researchers by Ingo Helbig. Bookmark the permalink.